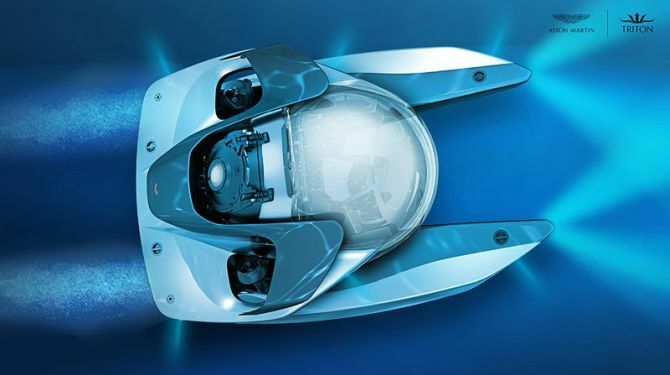 British automaker Aston Martin now wants to revive its underwater engines for their first ever submersible design. 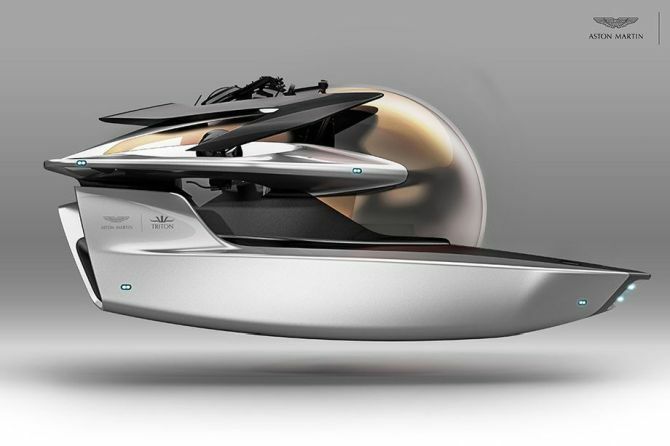 Dubbed Project Neptune, their submarine could accommodate three-person within its chic design boasting silver, blade-like pontoons and an acrylic bubble of a cabin for maximizing underwater views. Neptune is a collaboration between Aston Martin Consulting, the company’s design consulting arm, and Florida-based Triton Submarines, which has been creating luxury submersibles for a little more than a decade. The Aston Martin model is based on Triton’s Low Profile (LP) platform, which is specifically designed for superyachts. It will be just 5.9-feet tall, 8,800 pounds, and capable of diving to 1,650-feet with a speed of 3 knots, or 3.5 miles per hour. It will also be air-conditioned and include all possible comforts underwater. Aston Martin hopes to build it in about a year and will be priced around $4 million, according to the company’s chief creative officer Marek Reichman. It will be a limited edition submarine and no more than a dozen of these submersibles will be produced per year. Well, Aston Martin is a very exclusive brand and has produced only 80, 000 cars in 100 years.